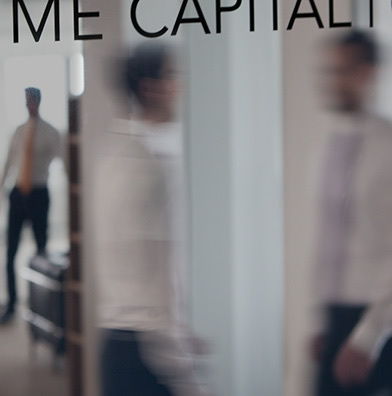 What was the idea behind the formation of Prime Capital ten years ago? What have been the milestones in its development? What drives its success? Read our interview with Wolfgang Stolz, CEO and company founder on the occasion of the 10-year anniversary in March, 2016. Mr Stolz, what makes you happy as an entrepreneur? A lot of things. Like when I see that the doors to the offices of the “old hands” are open to our junior staff, that competition is fair and based on respect, that employees leave the office with a satisfied smile in the evening and that they like coming back again in the morning – not just because they earn their living at Prime Capital. All those things tell me our “performance culture” is being embraced. Its defining features are openness, fairness, integrity, mutual trust and – not least – an element of casualness. In other words, a healthy mix of the no-nonsense approach that typifies Germans and the easy-going attitudes found in the Anglo-American world. With reference to “Anglo-American corporate culture” – where have you been exposed to it yourself? Prior to establishing Prime Capital in March 2006, I spent 22 years in global banking firms. That was a very exciting time, full of variety, and characterized by incredibly strong growth in all areas of the financial industry. Following several positions at large investment banks, some of which were UK/US-based, I joined UBS in 1993, working in the derivatives department in London. There I built up the alternative investments business (especially hedge funds) from scratch and guided its development for many years. Even back then, an entrepreneurial mindset was central to all aspects of my everyday work and I was given the freedom to create a successful client-based business. What made you decide to take the crucial step and set up your own business? Ultimately, I’ve always dreamt of having my own company and running it according to my own ideas and principles. Actually taking that step was therefore only a question of time and a logical consequence of my personal career. The trigger came in the form of the paradigm shift in the banking world in the first decade of the new millennium. Sustainable client business was being increasingly marginalized – a development which contributed to the financial crisis. I was convinced it was the right time to strike out on my own and build a company that would allow me to develop an alternative investments business geared towards sustainability and in line with my ethical principles. 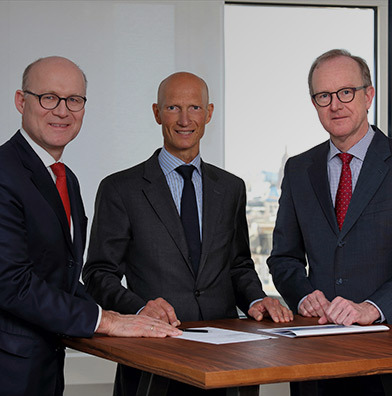 In doing so, I also wanted to demonstrate that innovative, dependable financial engineering inspired by responsible and persistent German quality standards is not only possible but also superior to the fast-paced investment banking that typifies the Anglo-American world. When you started up as an entrepreneur in Frankfurt, how did things go? It is not often that bankers set up in business on their own, especially in Frankfurt; London would be the normal choice. But I had the right idea at the right time. The distinctive concept of a sustainable approach to alternative investments was met with considerable interest in the market. The decision to establish our head office in Frankfurt also underlined that commitment, of course. When did the first milestone event occur in your corporate history? 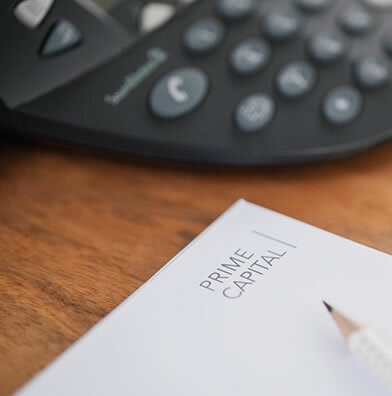 Quite soon after Prime Capital was set up, an investor approached us and entrusted us with a mandate worth more than EUR 2 billion. I found that a very emotional experience. Here was someone placing their trust in my personal track record, rather than just choosing the established firms. Thanks to that mandate, I was able to build a team and generate growth. We started with two people as sub-tenants in Frankfurt’s Westend district. Today, we have more than 50 employees from over a dozen countries spread across three European locations, with market-leading expertise in the absolute return, private debt and infrastructure asset classes. What motivates top talent to join your firm? In reality, a lot of good people want to join established firms with prestigious names, of course. Although we are relatively young, our name had a certain “coolness factor” after the first major coup. Here was a small player showing the “big boys” how it’s done! Another thing that makes us appealing is our “performance culture”. Even though we expect a lot from ourselves and each other, we always interact as equals. The younger members of the team are given substantial freedom at a very early stage, enabling them to pursue their own ideas and projects in an entrepreneurial manner while growing and learning all the time. That’s how we’re able to attract – and above all, retain – great talent. How did the financial crisis affect you? We naturally felt the effects of the crisis very strongly. Fortunately, I was able to keep the firm on an even keel through hard work and my personal passion towards our young start-up. As interest rates fell lower and lower, alternative investments then became increasingly attractive. The growing burden of regulation is also making it more and more difficult to earn money with traditional investments. Alternative investments are now viewed favorably by many investors. We are also seeing a trend towards “onshoring”, i.e. an increase in activities within the regulated European Economic Area. Has the niche become mainstream? Definitely, as the example of private debt funds shows. Previously established by banks, they are now often offered in the context of Alternative Investments. Essentially what our products do is help to ensure that money gets to where the real economy needs finance. This is also the express wish of politicians, so we’re pleased that our work can contribute to creating real value. It gives us a pleasant feeling of validation that we are now supporting the transition to renewable energy sources, for example, turning theory into reality, or using innovative finance structures based on private debt to help companies implement their corporate actions more effectively. We believe that not only content is important, but also execution. Our business model is based on two pillars: Asset Management plus execution, including ongoing support and Risk Management. We ensure that attractive types of Alternative Investment are added to balance sheets safely and smoothly. Prime Capital is unique in terms of this combination and size. Large investment firms, including those owned by banks, specialize chiefly in Asset Management, while smaller providers handle “technical implementation”. We are big enough to offer both as reliable services, but also young enough to have a flexible and innovative approach. As a water sports enthusiast, I’d say we’re a speedboat and frigate, all in one. We are also truly independent. No investors, banks or private equity investors hold a stake in our firm, so it is solely employee-owned. That makes us an interesting proposition for many potential institutional investors, and allows us to take on any new mandates that present themselves. We aim to be one of the top five providers of Alternative Investments in continental Europe within the next few years. We would like to continue helping to create prosperity and growth through real value – sustainably and with high ethical standards. As a passionate entrepreneur, one day I’d like to pass the business on to a new generation of inspired successors who crave the challenge. It’s not about selling up, it’s about creating something that will endure and create prosperity for future generations. That’s what I’m committed to.